The first couple of years The Ranting Wife and I were married, she was a residence hall director, so we lived in a college dorm. After that time we relocated to the Cleveland, Ohio area and soon had our own house. As I was working full time and she was home with a newborn, The Ranting Wife became the primary cook for our family. Not having many cookbooks (and before recipes were easily found on the Intranet), she went to the bookstore (yes, there were stores dedicated to only books back then) and bought a recipe book called Fit and Healthy. I quickly added a few words so it always became Fit and Healthy Until You’re Dead in my mind. The first recipe that she made from it, and one that quickly became a staple in our house, is the one below. I hope you like it as much as we have. A quick weeknight dinner that is inexpensive and tasty! 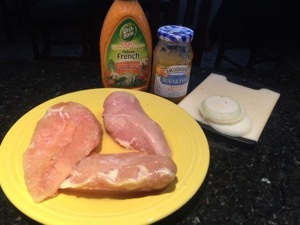 If you use thin sliced chicken, it cooks even more quickly. Mix the first four ingredients and set aside. Arrange chicken in a 9-inch by 9-inch baking pan that has been sprayed with non-stick cooking spray. 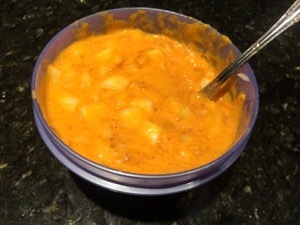 Use a microwave-safe dish if cooking in the microwave. Conventional Oven: Preheat oven to 350 degrees. Bake, uncovered, for 20 minutes. Drain any liquid. 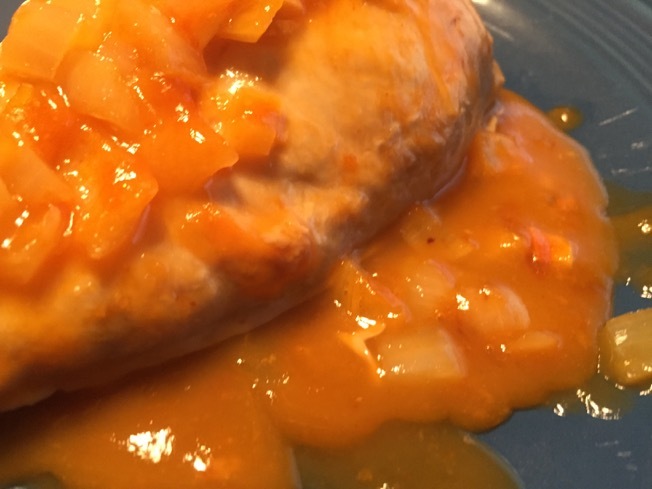 Spoon apricot mixture over chicken. Return to oven for 10 minutes or until chicken is no longer pink and glaze is heated. Microwave Oven: Cover with plastic wrap, venting one corner. Cook on high for 6-8 minutes, or until chicken is no longer pink. Rotate 1/4 turn halfway through cooking. Drain any liquid. 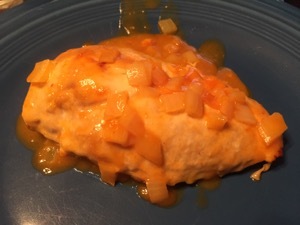 Spoon apricot mixture over chicken. Cook for 1-2 minutes or until glaze is heated.